This is a chance for you to get creative. We're looking for originality in the medium of your choice. Whether it's satirical, cartoon, narrative or graphic, we want to see it! The only* rules are that it needs to be political or economic. If you can give your piece that slant, you're onto a winner. 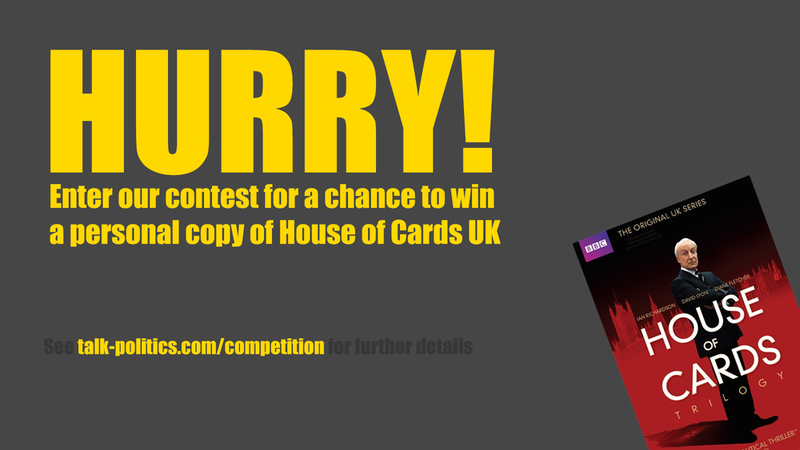 If you do win, you'll get your very own copy of the fantastic House of Cards (the UK version of course). Also, alongside the runner-up, your work will feature on our website for hundreds to see. Please submit your entry to team@talk-politics.com by April 1st and have "competition" in the subject line. If you run into any issues, you can contact us here.